Oh my God! 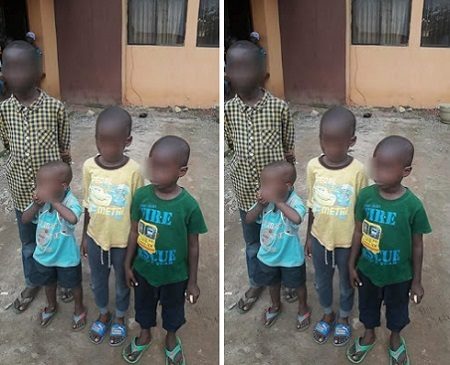 According to Agege Tv there was confusion at the Agege Local Government “Area A-Maternity Office” when a man carefully dumped his four children at the council premises with a note in their hands saying, he can no longer cater for them and their mother has since abandoned them for him. The chairman was informed and they decided to take them to the nearest police station where investigation has begun. Honestly! What is going on in Nigeria?